▶ Videos for "Conor McGregor Arrested"
Can't punch your way out of this. 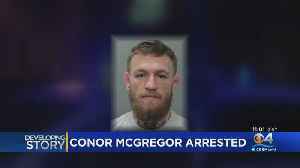 UFC superstar Conor McGregor was arrested on Monday on felony charges of robbery and criminal mischief. 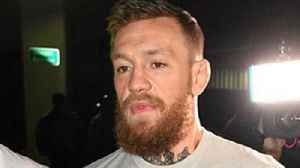 Mixed Martial Arts star Conor McGregor is once again making headlines for all the wrong reasons. Conor McGregor ARRESTED In Miami Beach After DESTROYING A Fans Phone! it's been less than 24 hours since ufc fighter Conor Mcgregor was arrested after breaking a fans phone and now he’s speaking out! Stay tuned to see what the fighter has to say to all his fans. 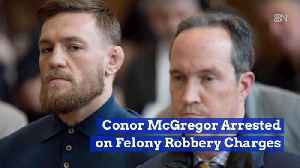 Conor McGregor Arrested on Felony Robbery Charges Former UFC champion Conor McGregor was arrested in Miami Beach for one count of strong-armed robbery and one count of criminal mischief. 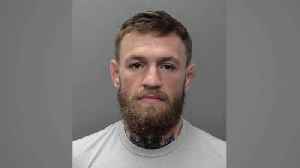 McGregor..
UFC competitor and boxer Conor McGregor has been arrested in South Florida for smashing and stealing the cellphone of a man taking pictures of him Report by Dessentjacksonl. 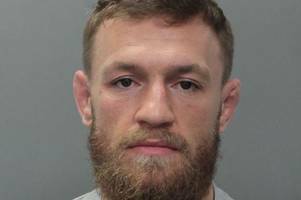 Like us on Facebook at..
MMA star Conor McGregor has been arrested for allegedly destroying a fan's phone. 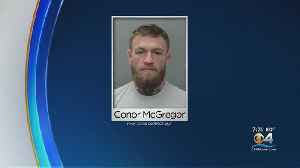 Mixed Martial Arts superstar Conor McGregor has been arrested again, this time in Miami Beach. 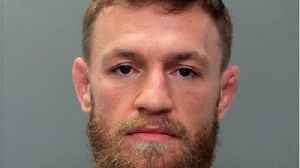 Mixed Martial Arts superstar Conor McGregor has been arrested. 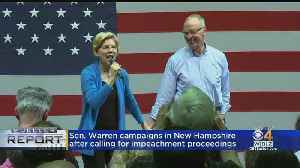 He's facing accusations of strong-arm robbery and criminal mischief. 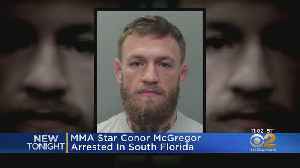 Mixed Martial Arts superstar Conor McGregor has been arrested in Miami Beach. 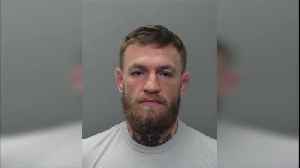 Mixed martial artist and boxer Conor McGregor has been arrested in South Florida for allegedly stealing the cellphone of someone who was trying to take his photo, authorities said. An attorney said.. 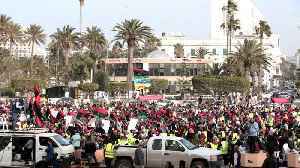 Here's the latest for Tuesday March 12th: US pulling remaining embassy staff from Venezuela; More countries ground Boeing 737 Max 8; White House budget would push deficit past $1 Trillion; Mixed.. The UFC star is accused of knocking the fan's phone out his hands before smashing it on the ground. Irish mixed martial artist released on bail after being charged for robbery and criminal mischief in South Florida. McGregor, 30, was booked into the Turner Guilford Knight Correctional Center in Miami on suspicion of robbery and criminal mischief. 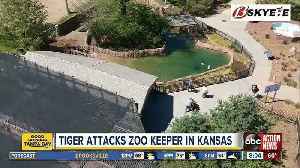 McGregor is accused of strong-arm robbery and criminal mischief. 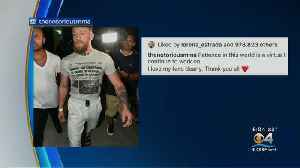 What I'm Hearing: MMAjunkie's Mike Bohn tells us what he knows in the early going of a developing story involving Conor McGregor being arrested in Miami Beach. Cops: MMA star smashed, stole $1000 phone in Miami Beach The volatile athlete is facing a felony robbery charge and a misdemeanor criminal mischief count following a 5:20 AM incident outside a..